Drones can be great tools for capturing 360 degree images, today we want to find drones with dedicated 360 degree cameras. These are the drones that forgo stitching multiple images together through software, instead using hardware to capture the shot. Believe it or not, this is going to be a short list. A very short list. Update: We haven’t been searching all that hard, but we do keep our eye out for drones with 360 degree cameras, thing is, it’s now January of 2019 and we know of no current, viable drone with an official 360 camera. There are some out there, but this tech is proving to not be popular from the sky. We will update this article again when a new drone shows up on radar, but for now, this is our last routine update to this list. 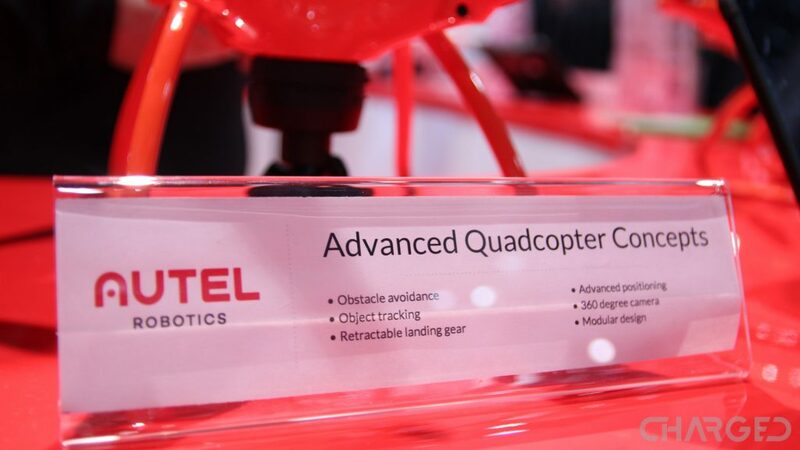 Autel Robotics has been flying around with one base drone for a while now. The X-Star Premium is a great machine, and they’ve been adding accessories, such as additional cameras, to enhance your experience. 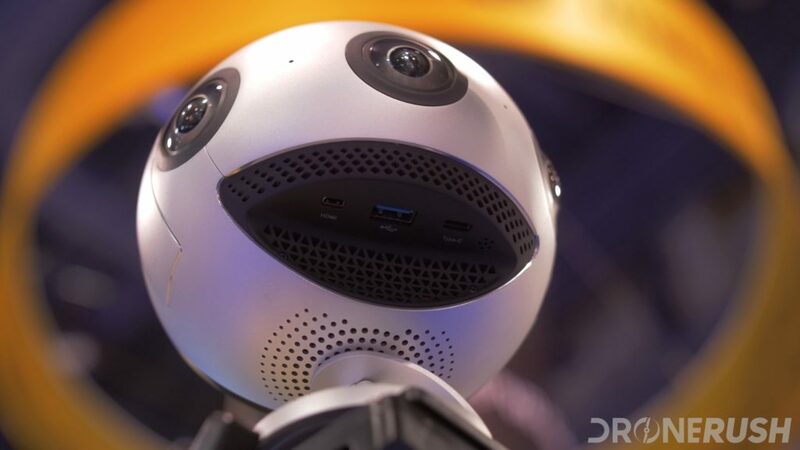 One such camera is a 360 degree shooter. You’re looking at an orange drone that could be confused for a DJI Phantom drone, if you’re not familiar with the differences. 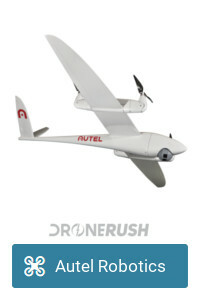 You can fly it for fun, or for commercial purposes with the higher-end cameras. Let me be clear, the new DJI Mavic Air does not have a 360 degree camera, but it fakes it very well. Specifically, the new drone stitches together a 32MP panoramic image, but then it presents the image just like you’d see from a standard spherical shot. Caveat number two, the drone only shoots downward, we do not have the exact degrees of coverage it produces, but you’ll be able to see the entire earth below the drone, at least. Released in August 2018, both the DJI Mavic 2 Zoom and Mavic 2 Pro offer a superior experience to the DJI Mavic Air and original DJI Mavic Pro. While the Zoom has a smaller camera sensor matched to a 2x optical zoom, the Pro offers only digital zoom out of the superb 1-inch Hasselblad sensor. To be fair, the 360 degree features are the same as the Mavic Air above, you are simply looking at better cameras on more stable drones with greater flight time. 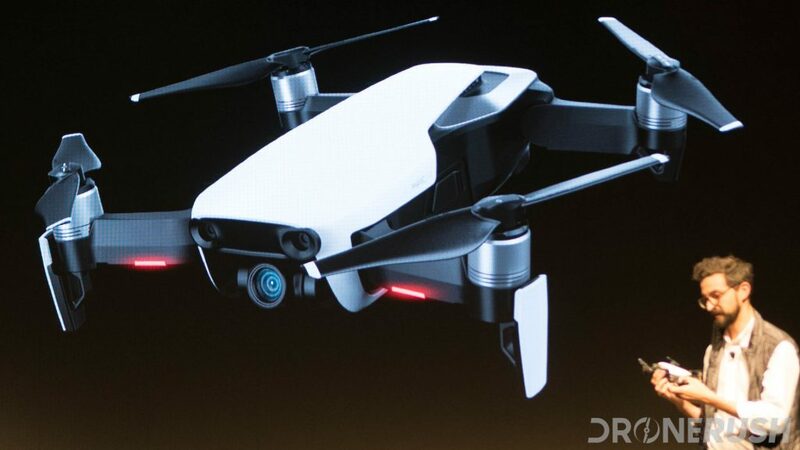 The DJI Mavic 2 Zoom is $1249, the DJI Mavic 2 Pro is $1449. That’s all, folks. Seriously, unless I’m missing something from the major players in the drone market, the X-Star Premium is the only mainstream drone that comes with a native-built 360 degree camera. Good thing there are cameras you can attach to nearly any drone for this need. There is an advantage to having a 360 degree camera that does not need to attach to your drone to operate. That is, it does not need to attach to your drone to operate. I am sure you can think of a few uses for a standalone 360 camera, and since we deal with drones around here, let’s talk about the rigs that easily go into the air. We’ve talked briefly in the past about the brand Insta360. We visited them at the NAB Show 2017 to check out their Pro camera, pictured above, as well as their smaller mobile rigs for iPhone and Android. The Pro drone was recently approved by Google Maps as an official camera to create 360 images and video for the mapping service. The smaller mobile rigs are pretty basic, if I must be honest. Producing images roughly the same quality as a smartphone from 2016. 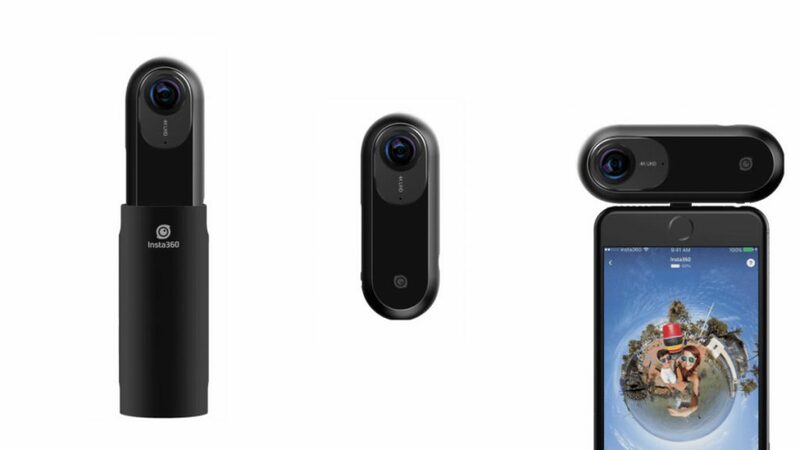 Good thing there’s a new mobile camera in their lineup, the Insta360 One. The Insta360 One is a dual lens shooter with a maximum photo resolution of 24 MP (6912 x 3456) or video resolution of 3840 x 1920. This machine attaches to your iOS device, (Android version coming,) and can operate as a standalone camera for about 70 minutes of video. That’s long enough for my drone flights, most days. I need your help. I’ve seen and used a number of 360 degree cameras, but I can’t think of any that would be appropriate to slap on a drone. The best cameras I’ve seen are simply too large and heavy for the average drone. If you’ve got a big drone, like a DJI Matric 600 or Yuneec Tornado H920, you can carry near any camera you want, but if you have a Phantom 4 or Mavic Pro, things need to be compact and light. I’ve flown the GDU Byrd Premium with the Insta360 Nano. The footage looked great when the light was right. Direct sun blows out the image and shadows got a little blurry. The result was a fun video, but nothing I would post here for you, there were just too few spots that were good enough. But I’ll try it again soon and let you know. Update: I tried the LG 360 Cam attached to the 3DR Solo and Mavic Pro, still not good enough to bother producing a video from. 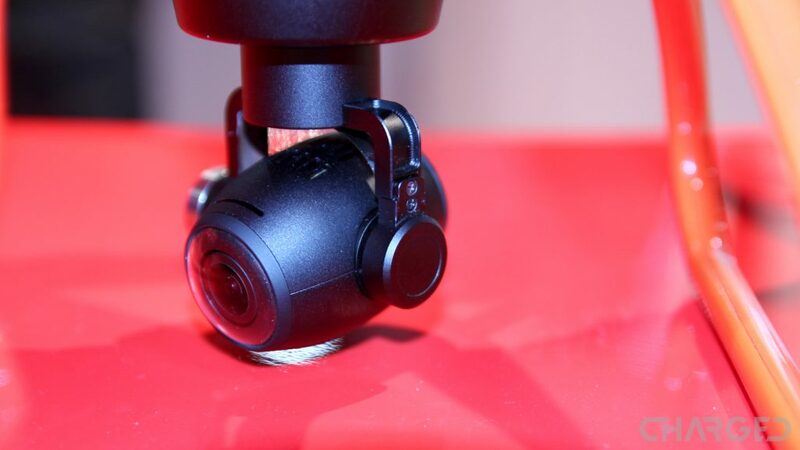 Anyhow, if you have a compact and lightweight 360 degree camera in mind, one that does not break the bank and offers good quality footage, please let us know in the comments below. We’ll keep looking for more, we really like 360 video from the sky, stay tuned.